6" School Protractor $0.35 Each. Westcott School Products are designed with the student in mind. 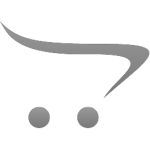 All our products are created to be..
8 Digit Black Calculator $0.00 Each. Black pocket wholesale school calculator with 8 digits.Case of 48..
8 Digit School Calculators $1.20 Each. Pocket school calculator with side rubber grips for a secure hold. 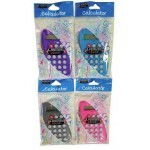 Comes in 4 assorted colors for ba..
LeWorld School Calculator $1.20 Each. LeWORLD Dual Power Calculator. A regular yet simple calculator with 8 digits in assorted colors..
LeWORLD Power School Calculator with 8 digit display. It features auto power off and memory function.. 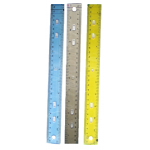 Durable plastic wholesale school rulers with beveled edge and pencil grove. Calibrations show inches..
Quad Ruled Composition Notebook $0.98 Each. Quad ruled school composition notebook. Comes with 100 sheets and black & white marble covers.10..
Scientific School Calculator $1.89 Each. 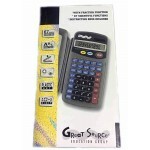 Great Source Education Group scientific school calculator. 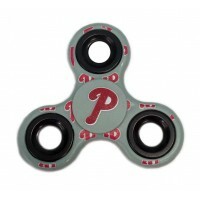 It uses solar power and battery, comes wi..